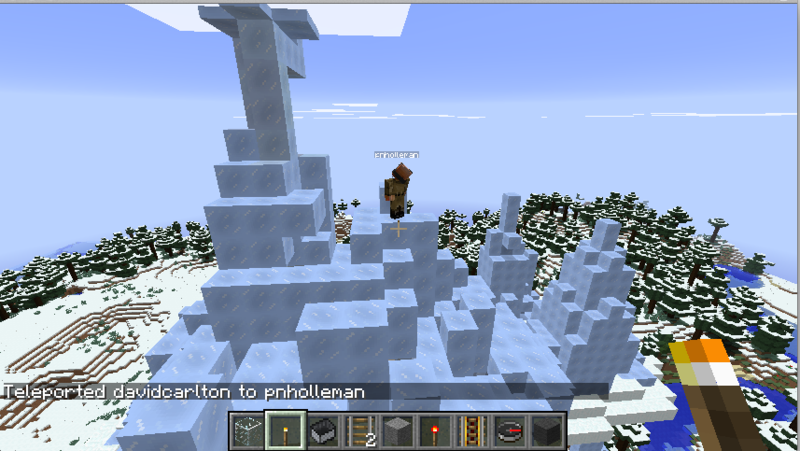 Pat built a sort of ice chapel. 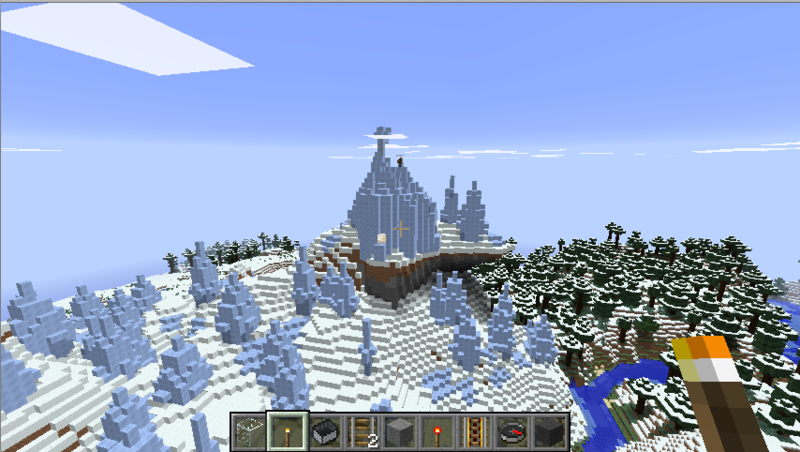 I think it’s near the ice house he built the previous month, but I’m not entirely sure? 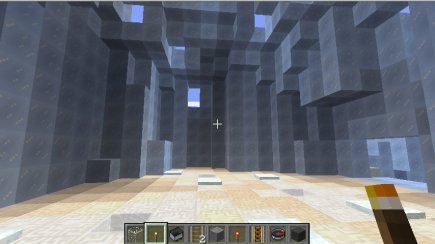 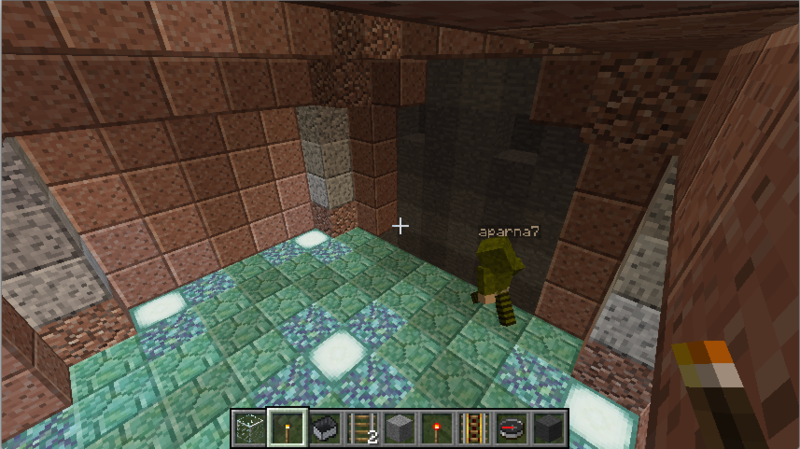 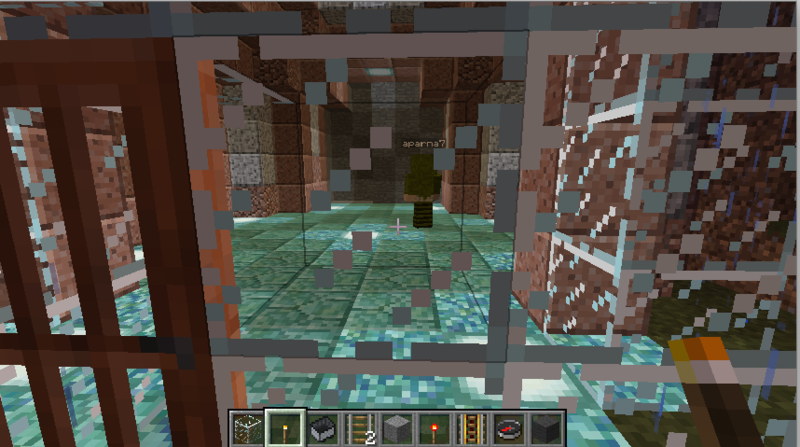 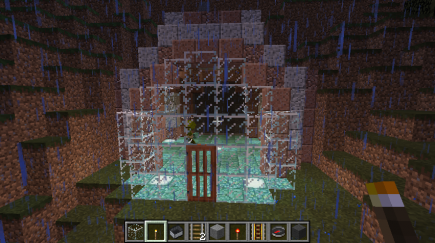 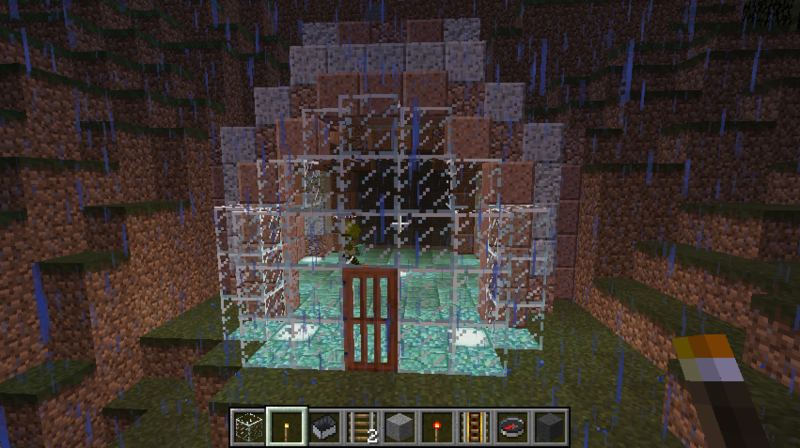 And Miranda decided to build a hall using some of the new stone types that were recently added. 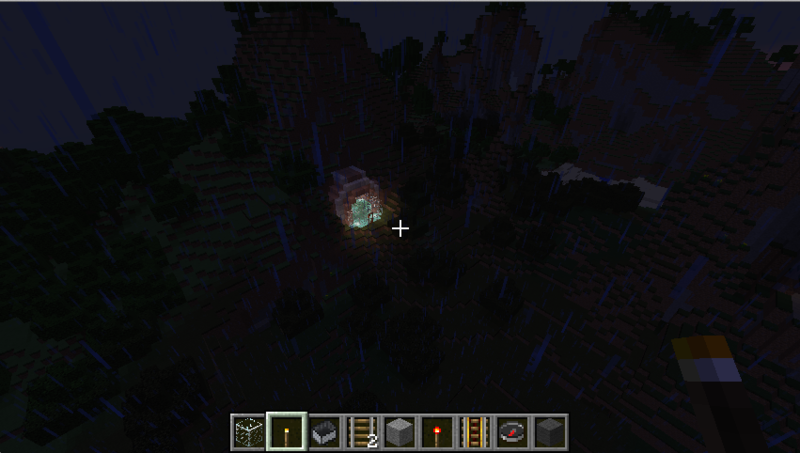 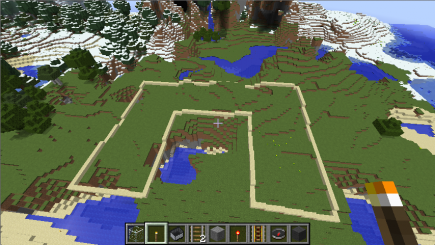 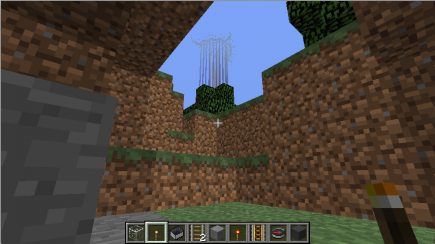 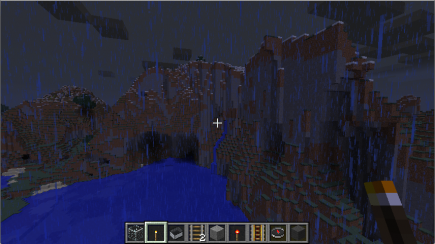 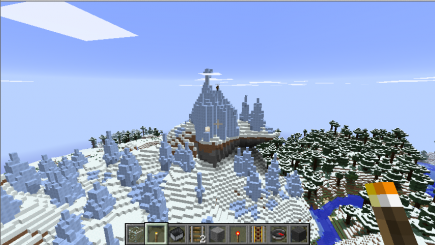 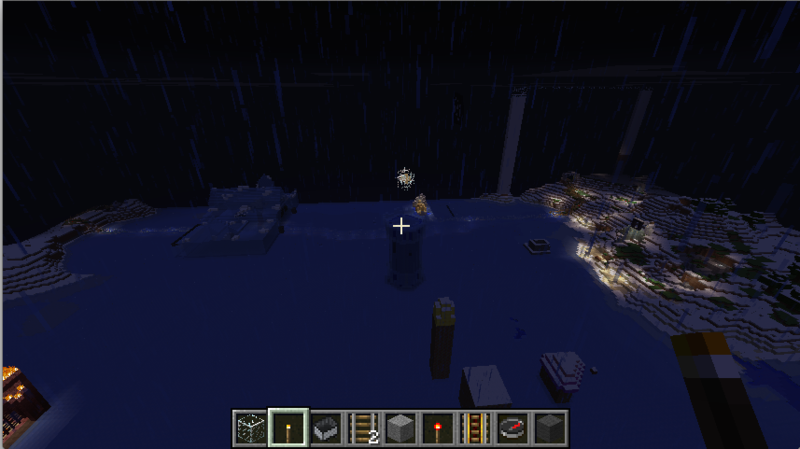 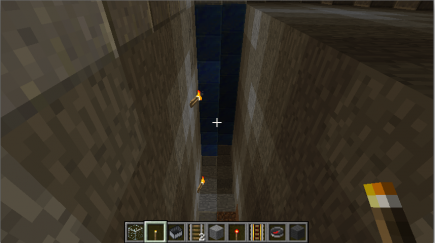 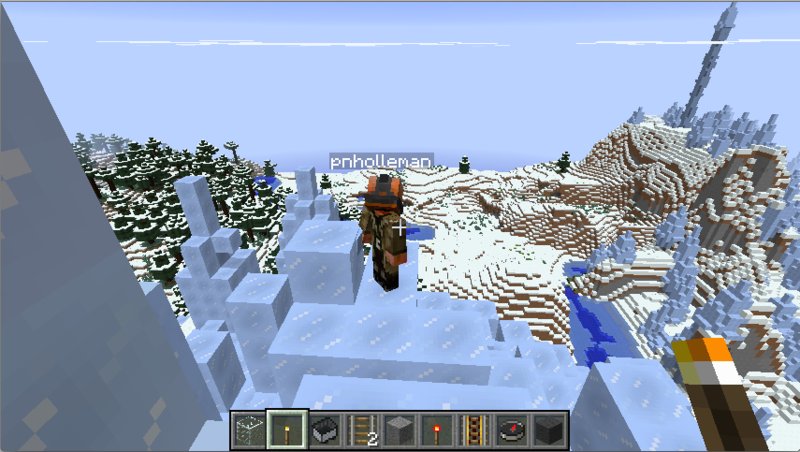 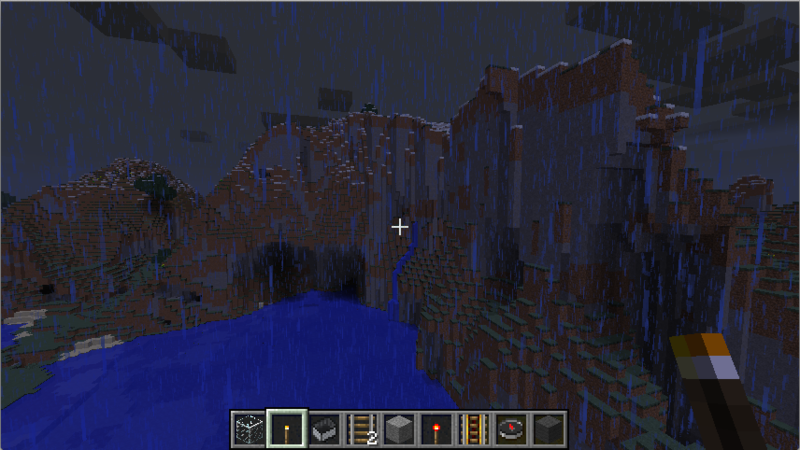 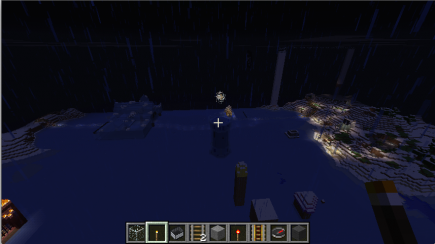 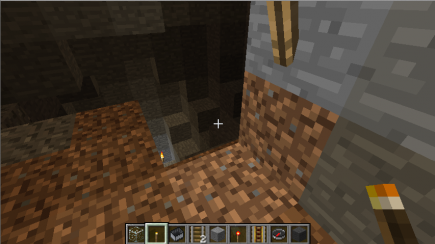 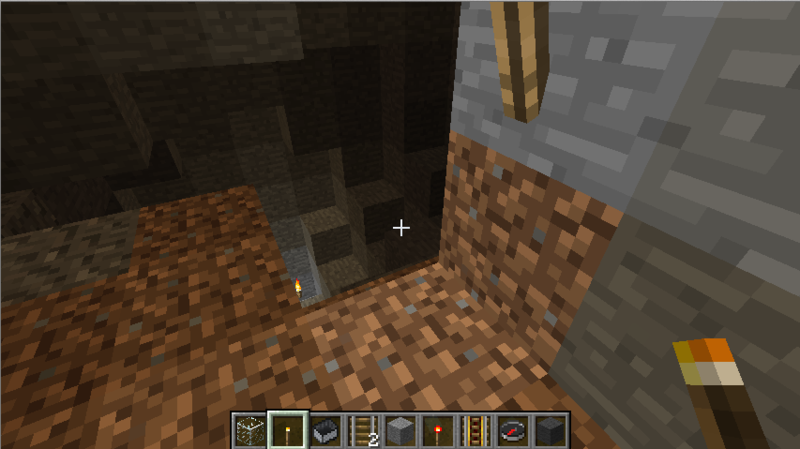 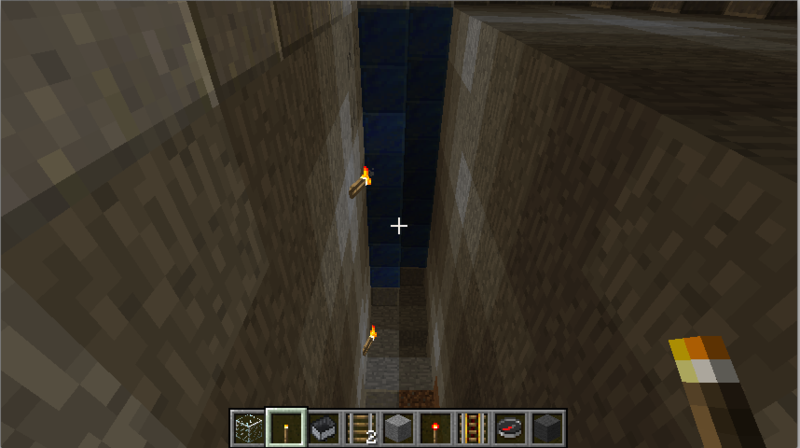 She hollowed out a hill not too far from the spawn point but in a direction we hadn’t explored much. 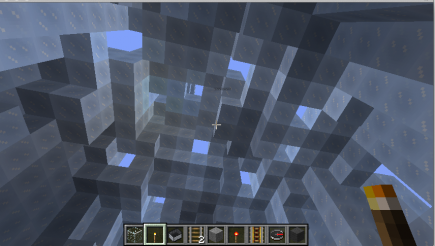 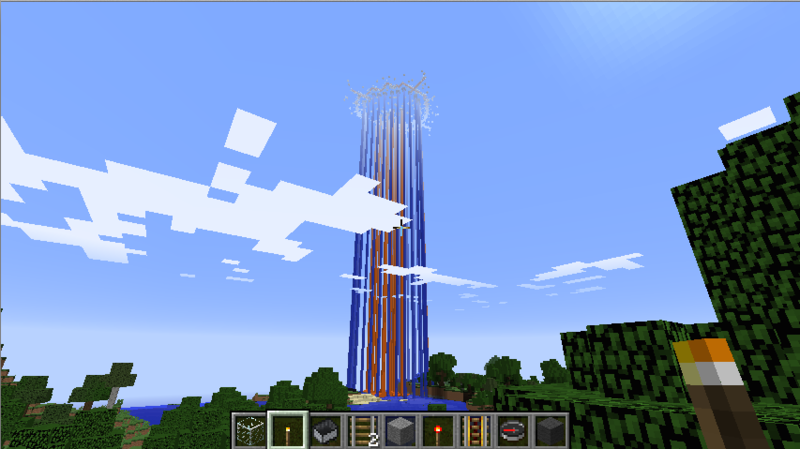 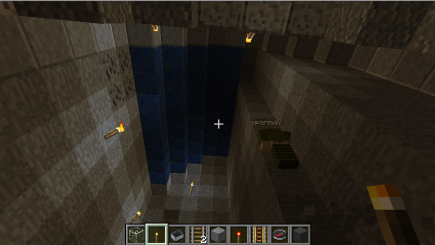 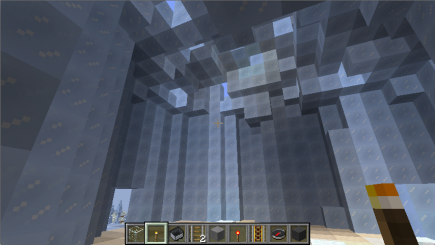 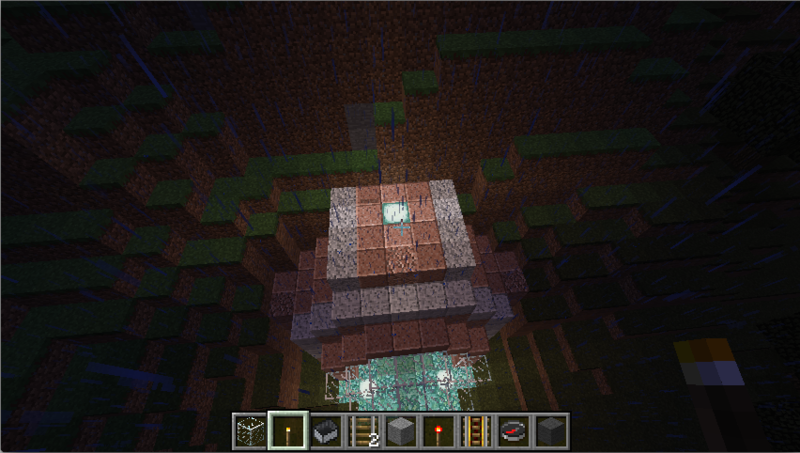 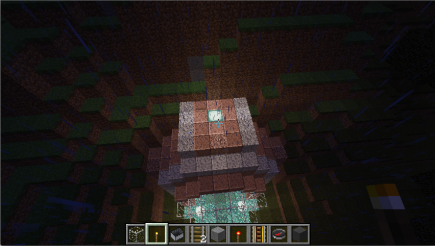 After that, she decided to expand it more, making a larger space inside with some blue stone as the ceiling. 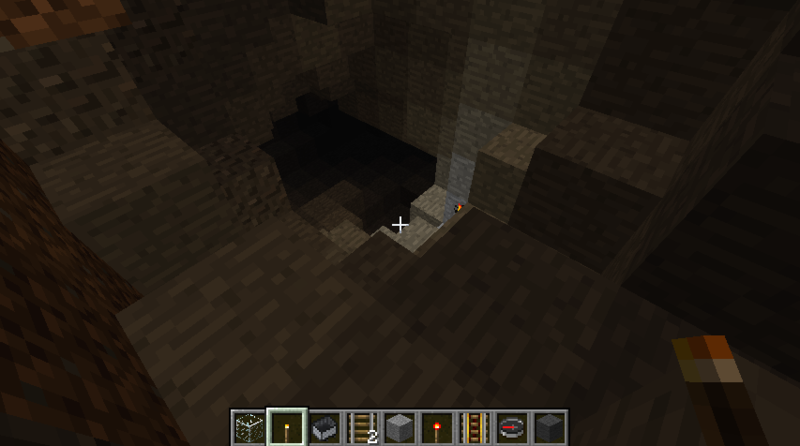 While she was doing that, she ran into a cave, so I went and explored that.